Sai Sai Jaran Jaran is a featured series on MOSHI MOSHI NIPPON where the members of all-female rock band SILENT SIREN visit hot spots and experience different things in Japan and relay their episode. In this 3rd entry, inquisitive band member and keyboard player Yukarun will be challenging herself to something ‘Japanese-y’ which she suggested back when this series debuted. Let’s get to it. Time to get changed and head on out! 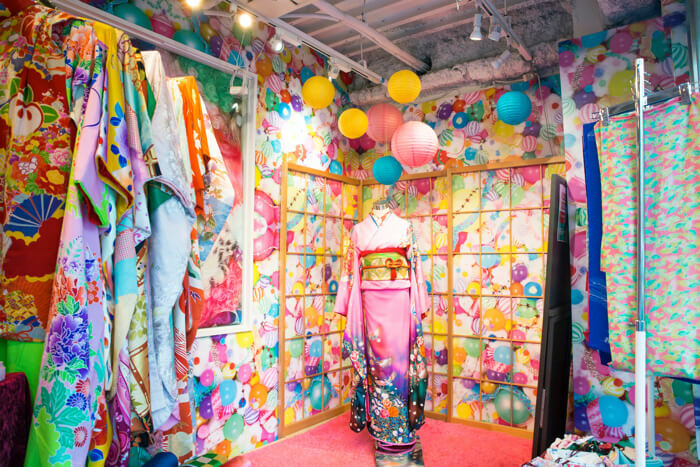 This is a kimono rental shop “MOSHI MOSHI KIMONO SALON”. Yukarun is searching for a design she likes. She has an unusually excited face. Since the initiation of Sai Sai Jaran Jaran, the members have talked about wanting to do something beautiful and Japanese. There’s a different enticement between the latest styles and traditional Japanese clothing. 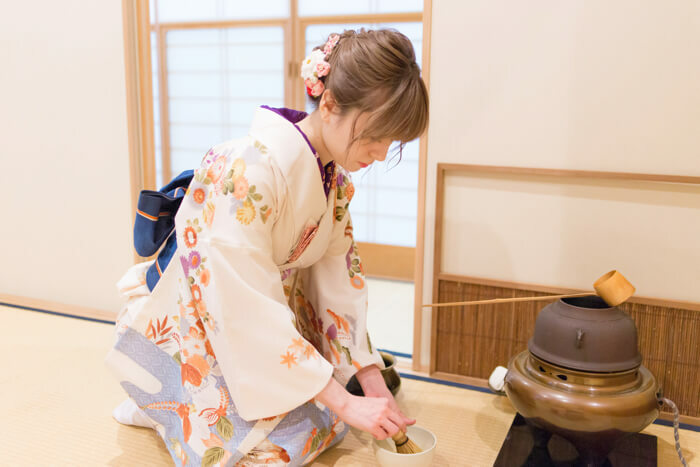 Yukarun, now donning her kimono, looks like the epitome of a Japanese woman, and has warped to a tea ceremony class “WAnokoto”. That’s right, today’s theme is the tea ceremony! 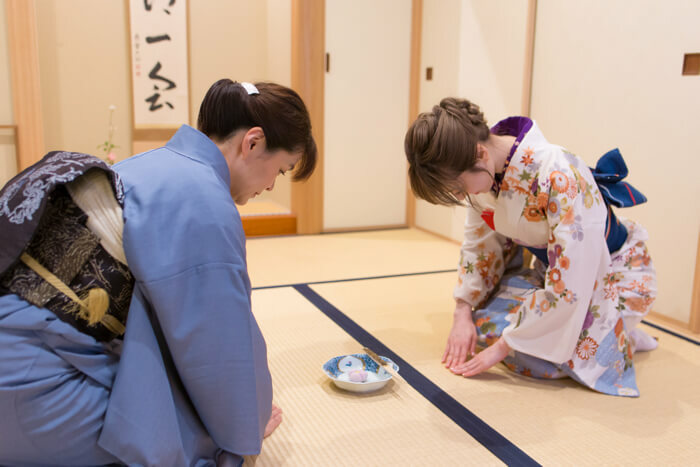 After learning the proper way to sit in the tea room, Yukarun’s exercises begin with a bow. She lowers her head slowly and deeply. Next, she places the Japanese sweet onto her kaishi, a piece of paper that’s tucked in the front of a kimono. While using the sweet cutter she eats the sweet bit by bit. “The entire process is made up of strict movements for whatever you do, so it looks like it would take a long time to learn them all,” said Yukarun. After finishing the sweet, she drinks tea kindly prepared by the teacher. As a side note, it’s proper etiquette to finish eating the sweet by the time the tea is served. “So you’re not supposed to have both the tea and sweet at the same time,” said Yukarun a little surprised. Of course, you have to follow the right steps when drinking the tea too. She is in full concentration mode as she copies the teacher’s movements. The proper way to show that you have finished drinking the tea even involves making a certain sound with your mouth. Next, Yukarun will make tea herself. 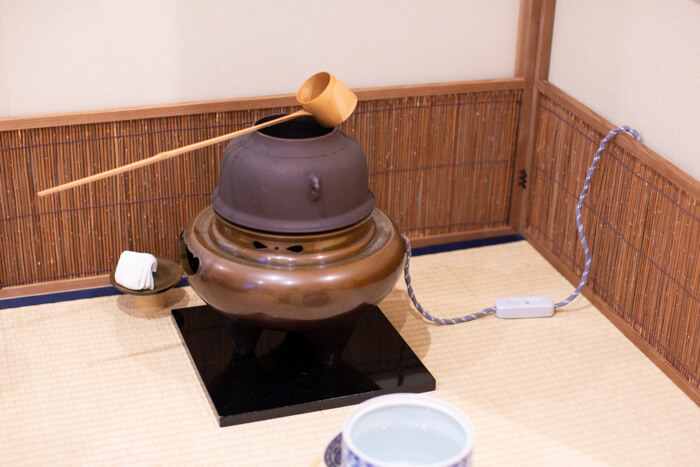 She pours matcha into the teacup, scoops up some hot water with the ladle and pours it in. She then prepares the tea using a tool called a chasen, or tea whisk. She holds the teacup carefully and presents the tea. The most beautiful side of the cup is the front. It’s hospitable to turn the beautiful design towards the guest when presenting the tea. To finish, Yukarun takes a photo with her sensei on the floor. The words written read ichigo ichie, meaning ‘treasure every meeting, for it will never recur.’ This moment, too, was one precious. Beginner lessons are approximately 60-minutes and cost ¥2000 (+tax). As long as you have white socks, you can wear ordinary clothes to the lesson. Everything you need can be lent out on site. For full details, check the homepage.